﻿﻿There had been rumors that there might be trouble, but Nat King Cole refused to cancel the performance. Two shows were planned in Birmingham, Alabama—one for whites and one for blacks. There had been rumors of trouble in the past—it was something he had learned to live with when he toured. There were rumors that Ku Klux Klan planned to grab him during the show. Nobody knows what they planned to do with him once they had him, but the kinds of atrocities that were being done to blacks in Alabama during the 50s were well known. The police were there, guarding the stage, but nobody actually believed even the Ku Klux Klan would be so bold as to try to kidnap a famous performer off the stage during a show. The orchestra had just begun playing the introduction of Cole’s second song during the first show when a coyote howl rang out in the theater—the signal for the attack. Five men rushed up the aisles of the theater. “Here they come,” someone shouted. People began screaming. The police, thinking any attack would come from the wings of the stage, were unprepared for an attack from the audience. Nat King Cole didn’t know what was happening. The lights were in his face as he sang. Suddenly, somebody came out of the darkness and grabbed for him. He stumbled backwards, falling over and breaking the piano bench. The police rushed out from the wings, cracking one of the assailants in the head with a nightstick, and wrestling another off of Nat King Cole. Very quickly, the police apprehended the five men. Fortunately, not all 150 members of the Klan who were supposed to show up at the performance had—it could have ended very differently. The singer got up, limping badly on his ankle and nursing a swollen lip, and left the stage. The audience felt bad about what had happened, and they began to applaud and call his name. After more than five minutes, Cole returned to the stage to say a few words. They wanted him to continue the show, but Cole had been injured during the brawl, and cancelled the show. Cole and his group returned to the hotel, but they knew they were in danger as long as they remained in Birmingham—they needed to get out of Alabama fast. Little did they know they had a friend who had quickly heard about what had happened, and had begun making calls—a friend with certain connections. possibly talking about who was the best singer??? Cole’s wife, two thousand miles a way, had no idea what had happened in Alabama when her phone rang in Los Angeles. The man on the other end told her what had happened, told her that her husband was fine. Of course she knew who the man was—everyone in American did. And how he learned about the incident so quickly isn’t hard to imagine considering some of the friends he had—they did call him “the chairman of the board” after all. She had to know as long as her husband remained in Birmingham, he was still in danger, but Frank Sinatra reassured her by saying, “Don’t worry, honey, we’ll get them out of there.” She may have known whom he meant when he said “we.” Some of Sinatra’s friends were people like Carlo and Joe Gambino, Jimmy Fratianno, Salvatore Spatola, and Albert “the Executioner” Anastasia. Wherever that first plane out of Birmingham was scheduled to go the following morning is not where it wound up going. The plane was rerouted and took Nat King Cole and his musicians out of danger. The musicians landed safely in Chicago. And Frank may have had a little help with commandeering that plane out of Birmingham—from then vice-President Richard Nixon. 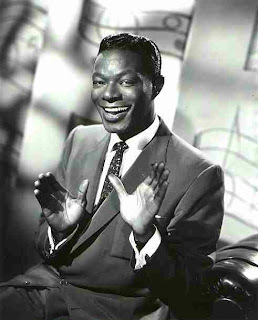 Brother Nat King Cole was a member of Thomas Waller Lodge No. 49, PHA, Los Angeles, California. He joined in 1938. The lodge was founded by a group of African-American musicians who were members of Musicians Local 767, and Cole joined with his friend and drummer Lee Young. 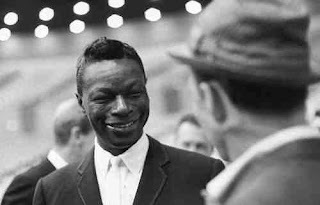 Nat King Cole remained faithful to Masonic principles his whole life—he saw himself as a builder of musical architecture, but he built more than music. His music helped to bring people and races together. Neither Frank Sinatra nor Richard Nixon were Freemasons. I told this story in Famous American Freemasons: Volume II, and I like it for several reasons. It reminds us that not-so-many years ago, America was a very different place, and while we still have work to do, we have come a very long way. It’s also a reminder of those brave African-American men and women who challenged the barriers, and put themselves at tremendous risk in the process in their struggles for equality. And finally, that even back in those days of overt racism and discrimination, there were those with skin just as white as mine, that saw the injustices being done, and helped to do something about it. I’m going to spend a little time this month, Black History Month, sharing a few stories about remarkable Freemasons like Nat King Cole. Author Update: I Could Use Some Help! 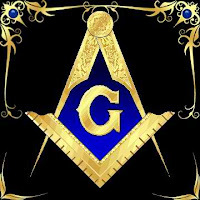 On The Lighter Side of Freemasonry . . .
L. Ron Hubbard: Freemason Or Not?